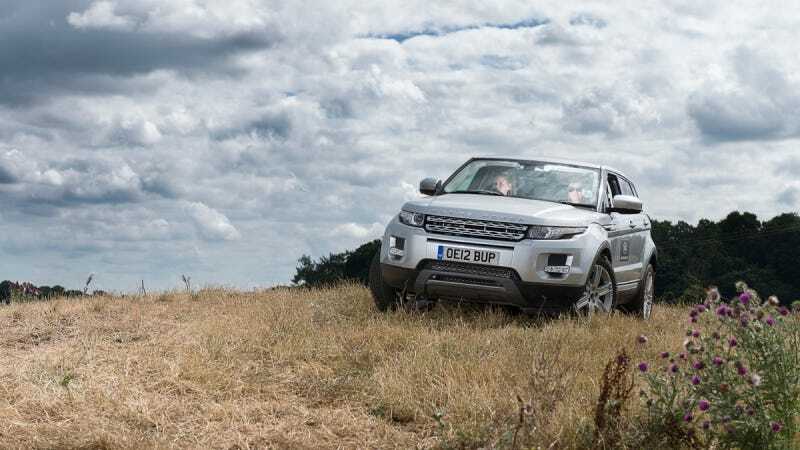 Today Land Rover announced it's plan to spoil some English kids rotten by giving them the chance to pilot new Evoques around an off-road course. Sure it might be a scheme to brand-brainwash people as young as age 11, but it's also a dream come true for pre-licensed gearheads. The "Start Off-Road" program literally puts 11 to 17-year-olds in the driver's seat and gives them the chance to learn off-road driving techniques. Lucky bastards! The SUVs will be equipped with "dual controls" like you might have had in your driver's ed car, but we're still talking about an enormous upgrade from the pink Barbie Jeep I had to beg my neighbor to let me practice sandbox-crossings on in my formative years. Wow. I mean, I was happy to splash through puddles on my Huffy. But jealous as I am, I won't fault Land Rover for contributing to future driver education... the more people know before getting on public roads, the better.